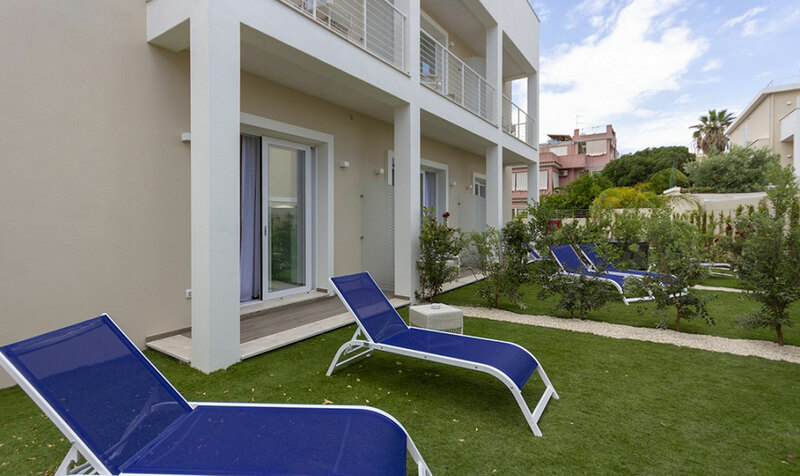 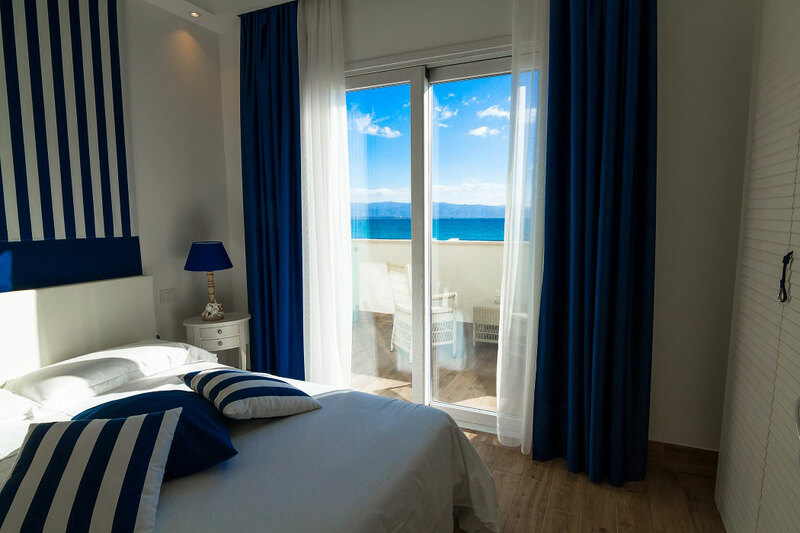 The Deluxe Rooms with Sea View and Hot Tub are located at the Second floor of the New villa of the hotel Nautilus. 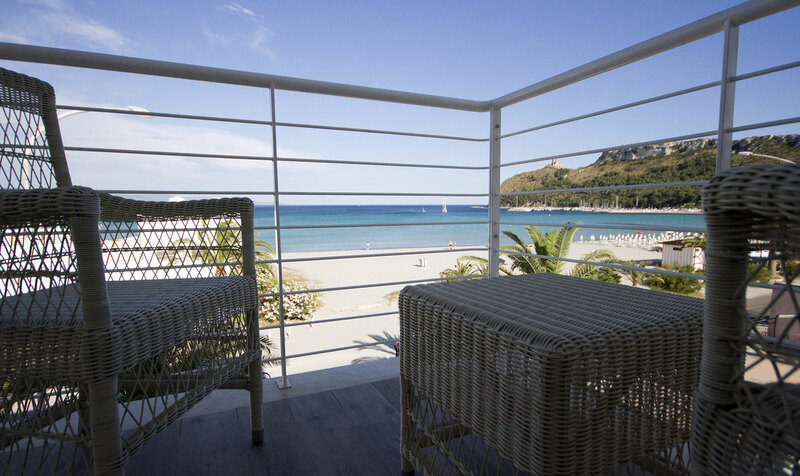 They offer a nice view on the sea and the Devil Saddle Promontory. 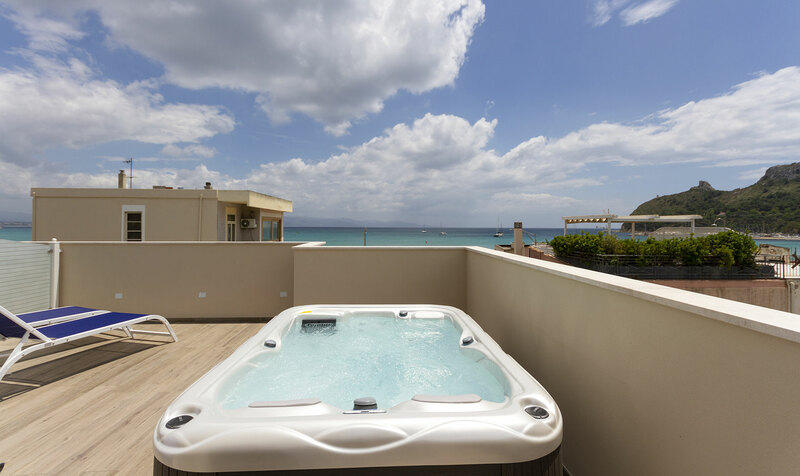 There is a wide terrace where the hot tub is located. 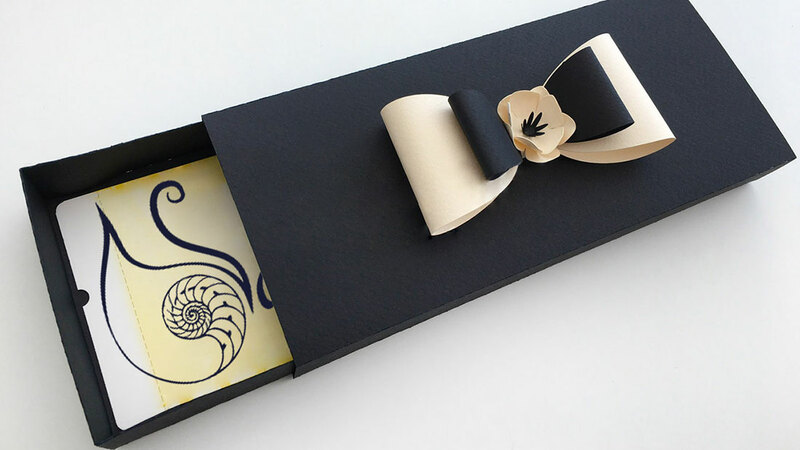 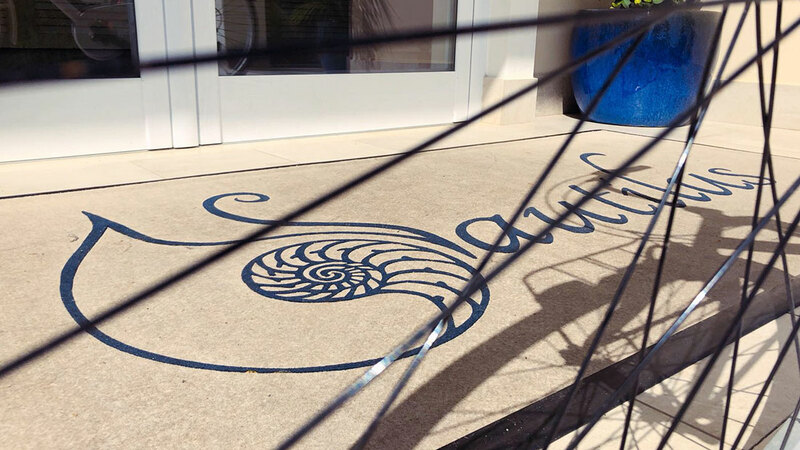 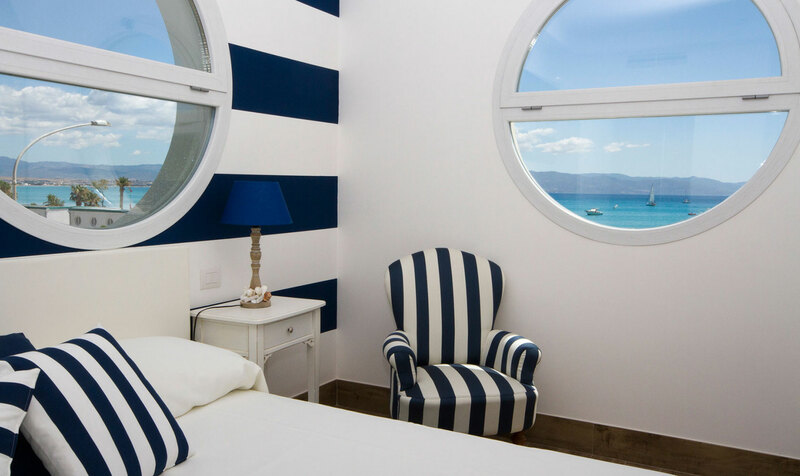 Make your Nautilus experience unique, book our best rooms! 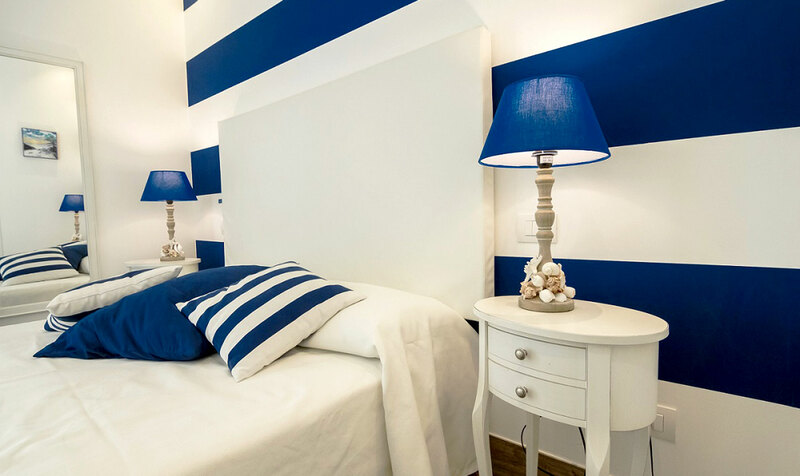 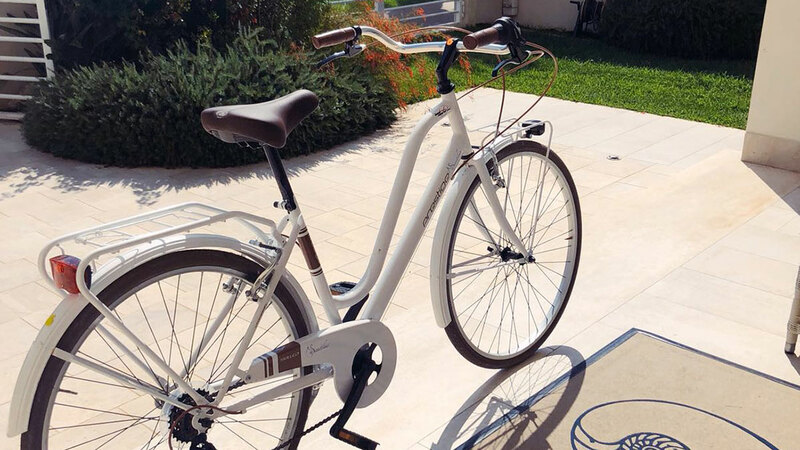 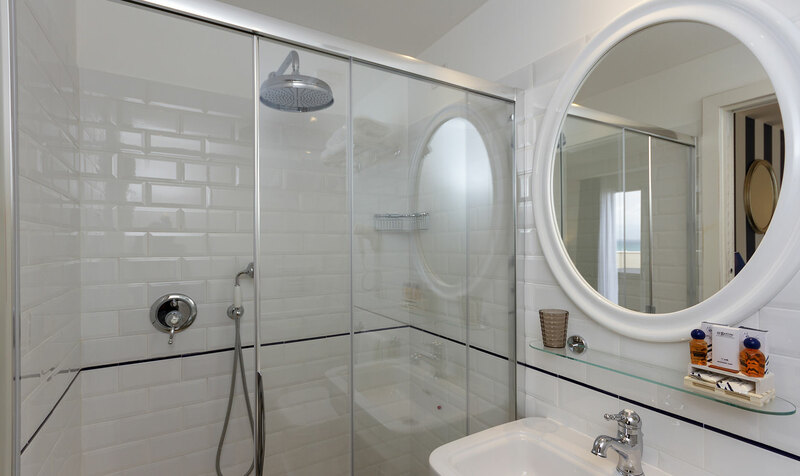 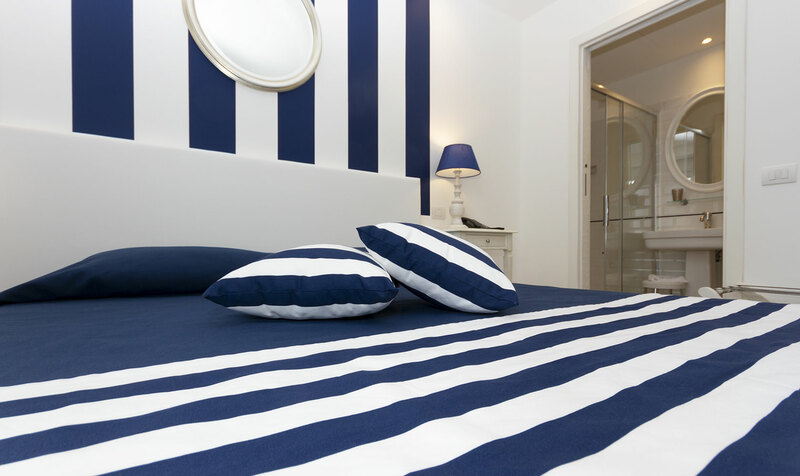 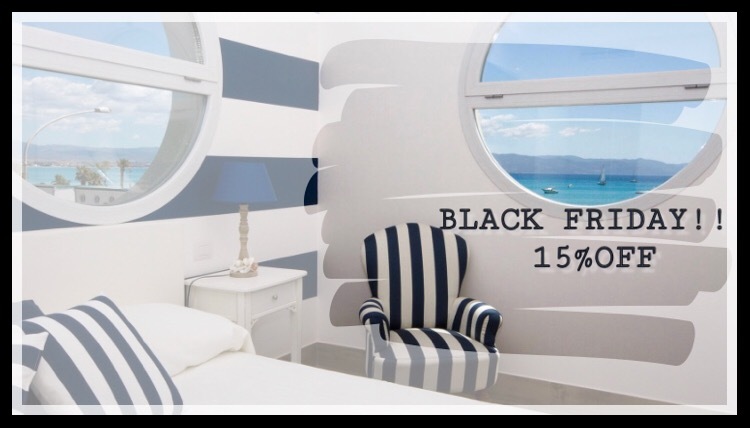 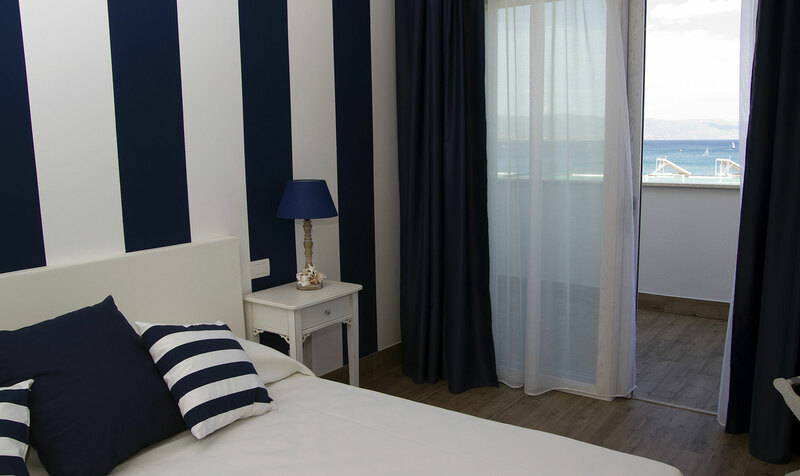 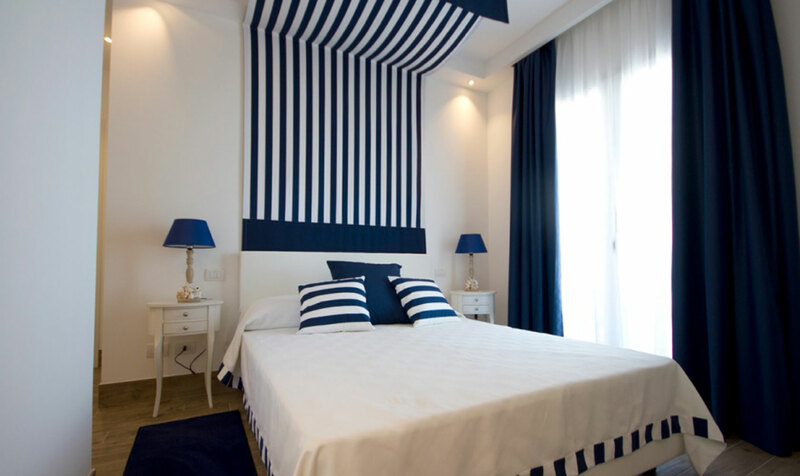 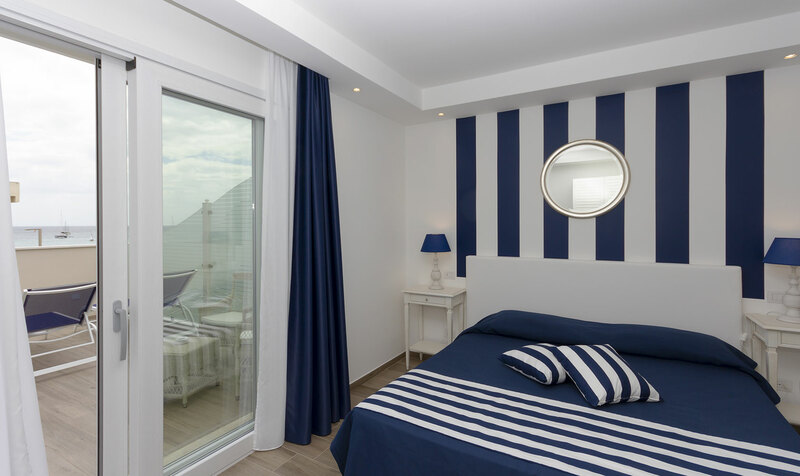 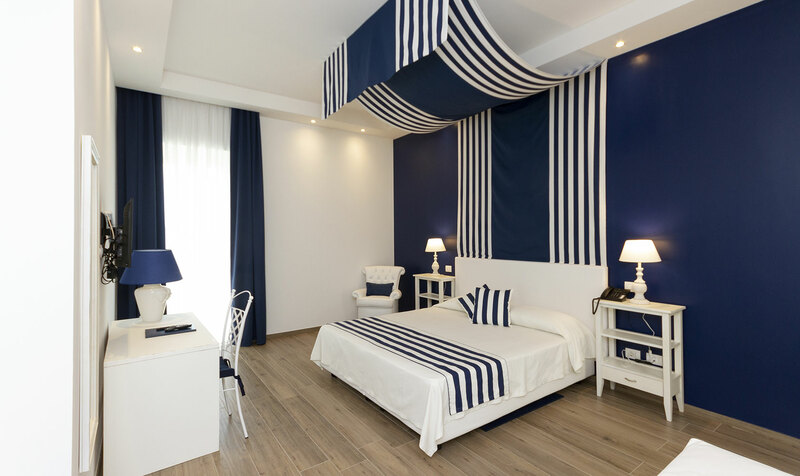 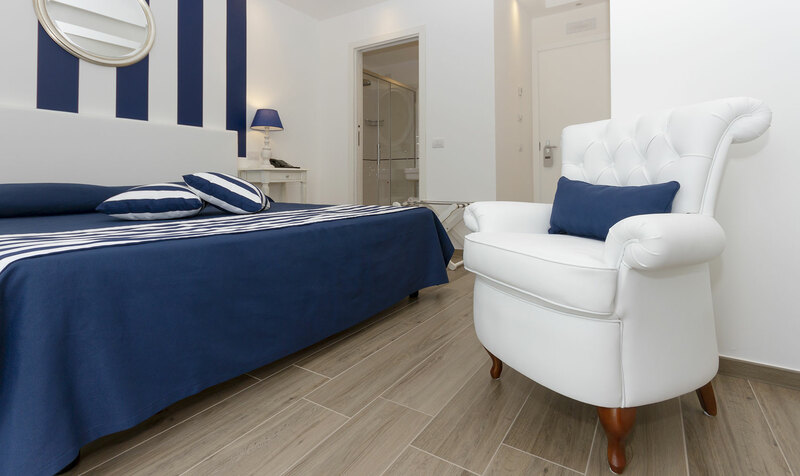 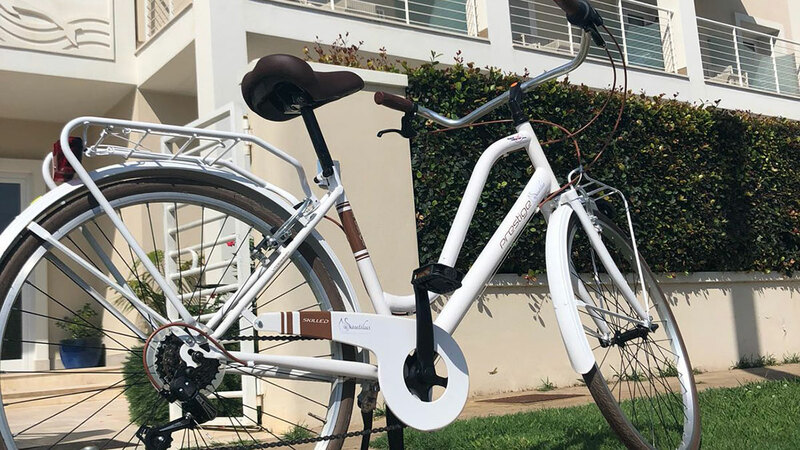 Furbished and decoreated in nautical style with the colors of white and blue, our rooms offer private bathroom with shower, courtesy kit, free wifi, Flt screen TV with SKY, minibar and safebox. 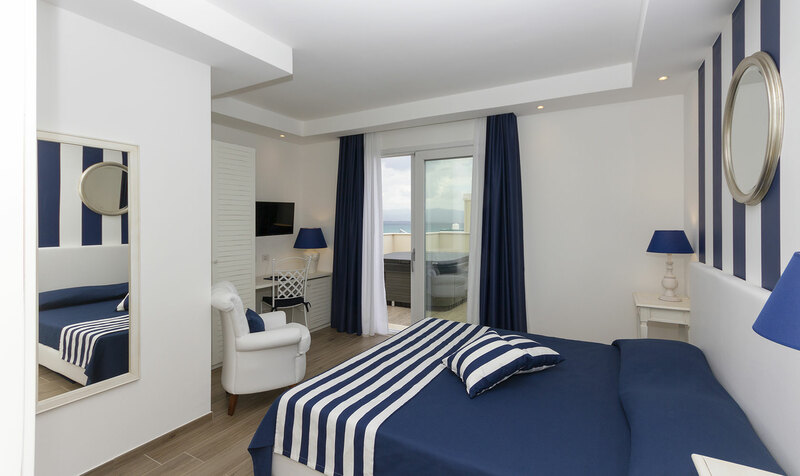  These rooms are available only with a double bed.